Green Moon is rated 3.6 out of 5 by 44. Rated 5 out of 5 by beatscore from We need more like this I almost didn't buy Green Moon and Green Moon 2 because of the reviews but I am so glad I did. Both are wonderful. The level of difficulty is just right. The book tells you what to do but does not hold your hand. Green Moon 2 has more help from the book and hints. Both of these games are the kind of adventure games I love (looking for things I actually need) instead of junk piles. Never had to find one butterfly or horseshoe, Yaaay ! No witches or ghosts no black smoke pouring into scenes from entities. Fixing things, finding things, time travelling, all good fun. Graphics are great, there is no sappy dialogue, lets you take stuff when you find it so you don't have to make forty trips to the same place. Really really wish we could have more of this kind of game. Rated 5 out of 5 by AdrianaIP from NOT for casual gamers If you are a casual gamer, pass this by, and do not return until you've become expert. If you are an expert, then you are in hog heaven. This is a game in the postgraduate level. No hints whatsover. A vague idea of what do to. No skipping minigames. Some minigames you better save before attempting because failure ends to death of your character and end of the game It is tough, no two ways about it. Visually, it is very attractive. Nothing overly dramatic, just a big puzzle that you have to figure out on your own. So, expert gamers, this is the ultimate adventure game for you. Rated 5 out of 5 by Sirchchris from review this is an adventure for professional gamers. I had much fun with it, but without a walkthrough you are lost in this game. There is no hint no skip for the puzzles and no HOS. You on you own. In the beginning it is easy but the game becomes more and more complicated. Rated 5 out of 5 by ts1sds from A Mature Sleeper I had bought this game back in 2010 and have just recently replayed it. I had forgotten how great it is. First off, it is not a hidden object game. In fact, it's not like any other game in Big Fish's inventory. 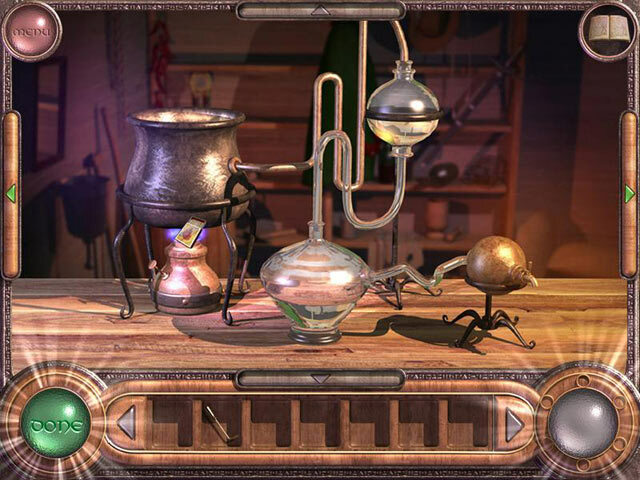 It requires the player to think - really think - because some of the solutions are based on common sense combined with objects encountered on the journey. It has a definite European feel to it, and the storyline - although fantasy - is one of the most sensible I've encountered in years of puzzle gaming. A couple of the mini-games can be frustrating (the 3-card monty in the pirate era, and the target shooting in the western era come to mind), but they don't diminish the overall game play. 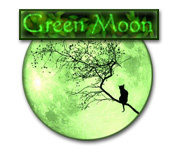 I believe that anyone who enjoys a cerebral challenge will certainly enjoy Green Moon. Rated 5 out of 5 by TheyCallMeTori from I adore this game! Green Moon was a little confusing at first, but once I got the hang of the navigating and handling of objects, I had a lot of fun playing this game! Whenever I play an adventure game, the first thing on my mind is the scenery and Green Moon had plenty of it! Not only do you get to travel to different locations in your current time period, but you get to travel to other eras as well, which was my favorite part. It exhibited a massive amount of diversity. There are mini-games that can be a little tricky, but they're not TOO difficult, making it a great game for a family to play together. I also love that it's not one of those games that is impossible to fail. There are ways you can "die", but your game autosaves after important parts so you don't have to start all over again. The only thing I would've changed about it is audio dialogue and the fact that the ending is very abrupt. You complete the last task, it shows a cutscene, but then there's no story explaining what happens after you achieve your overall goal. 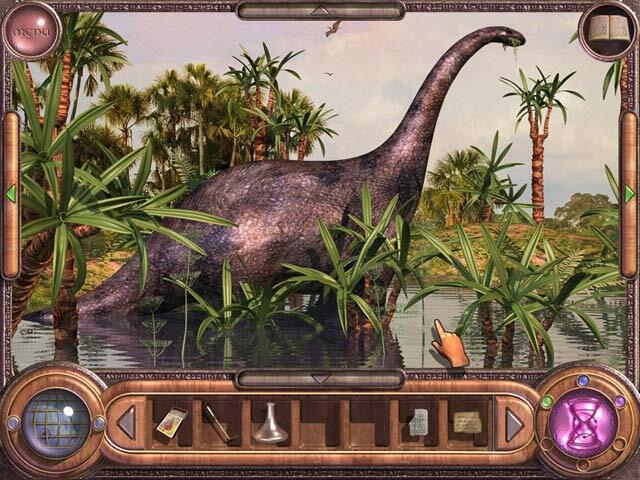 I recommend this game to adventure & mystery lovers with a curious mind! Rated 5 out of 5 by seatemple from You Have to Play This One after so many HOGs and RPGs, this was such a welcome pleasure...different from any other game I've played!...You will LOVE it!! Rated 5 out of 5 by bonluvselvis from Favorite Game I loved this game! It kept me hopping. It's not often that I have to resort to the walkthrough for help, but I had to several times.